Support various versions of SQL database question doubt power is damaged. Support SQL database repair damage can't attach all kinds of error problem. Support SQL database damage and other kinds of bug fixes on page 823824825. Support MDFNDF file repair support backup file repair perfect support various character set, support from MDF file delete records. 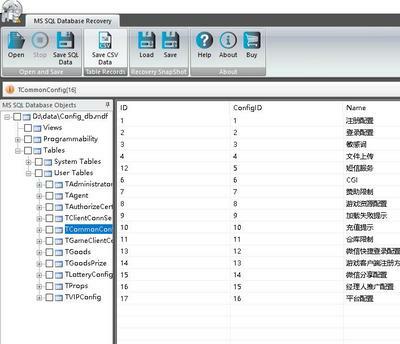 Multi-user support SQL database architecture, and NDF file group.
. Doubleoffset. Arrow. Java. Arena such as extension of MDF basic encryption database to obtain all the table data need for additional operation because the encrypted little damage. Scan you will find some data not table some encrypted database table data gibberish in some table fields, of course, also have the name of the table field name data completely ok. It all depends on the system tables. To cope with this database encryption standard model preview first found data table should have but no preview to the code field value is not correct or table or table data record few select advanced recovery mode scanning again. Want to get a better effect Need to have a good old backup or same structure based on the structure of the database to repair it is better to use software to scan again.